“Disturbing the peace” is a term that is familiar to most people, but others may not understand exactly what it means and the legal ramifications it can have. You can be charged with disturbing the peace for a number of reasons, ranging from a verbal argument, a physical fight or even the use of offensive words. Oftentimes, charges for disturbing the peace can result in a simple infraction punishable by a fine, however, you also can be charged with a misdemeanor, which can result in jail time. Furthermore, it is not uncommon to be charged with disturbing the peace in addition to more serious crimes. If you or a loved one has been charged with disturbing the peace, we encourage you to hire one of our experienced Wallin & Klarich attorneys to aggressively defend you. Accused of violating penal code 415? Use offensive words in a public place which are inherently likely to provoke an immediate, violent reaction. Actions that can result in a disturbing the peace charge include challenging another person to a physical fight in a bar, playing music at a high volume to disturb your neighbors and repeatedly using racial or ethnic slurs in a verbal confrontation. Depending on the circumstances of your case and your past criminal history, disturbing the peace can result in an infraction or a misdemeanor charge. An infraction is punishable by a fine of up to $250. A misdemeanor conviction is punishable by up to three months in county jail and a fine of up to $400. A misdemeanor disturbing the peace conviction will appear on your criminal record. Under California Penal Code 415.5, if you are charged with disturbing the peace on school grounds (any school, community college, university or state university) and you are not a student or employee of the school, disturbing the peace will be charged as a misdemeanor, resulting in a maximum 90-day jail sentence and a $400 fine. If you were previously convicted of disturbing the peace on school grounds or were previously convicted of any crime that took place on school grounds, you face a minimum of three months in county jail and a maximum fine of $1,000. What Must the Prosecution Prove for a Disturbing the Peace Conviction? The fight or challenge to fight took place in a public place. “Willfully” is defined as deliberately or on purpose. The noise disturbed another person. “Maliciously” is defined as a wish to vex, annoy, or injure another person, or the intent to commit a wrongful act. To “disturb another person,” the noise must have presented an immediate danger of violence or have been used for the purpose of disrupting lawful activities (and not as a means of communication). In most cases, music, loud cheers or playing games will not result in a disturbing the peace charge because these activities usually do not have the purpose of disturbing other people and do not present an immediate danger of violence. However, if a neighbor or the police ask you to stop making loud or unreasonable noise and you do not, you could be charged with disturbing the peace and the jury would then decide whether your conduct was both willful and malicious. If you use offensive words you could be charged under penal code 415 – disturbing the peace. The words were spoken in a public place. “Offensive words” are determined on a case-by-case basis. In the context of your case, the offensive words must have been spoken in a manner to provoke a violent response. Words that are vulgar, profane, rude, abusive or disrespectful by themselves cannot result in a disturbing the peace charge. To “provoke an immediate violent reaction,” you must have said something reasonably likely to provoke the other person to react violently and when you made the statement, there was a clear and present danger that the other person would immediately erupt into violence. What are the Defenses to a Disturbing the Peace Charge? You did not act willfully, maliciously or with the intent of inciting violence. If you reasonably believed that your words were not likely to provoke an immediate, violent reaction, you should not be found guilty of disturbing the peace. You use no more force than is reasonably necessary to defend yourself or another person against the danger. You cannot be found guilty of disturbing the peace if your words or conduct are found to be protected by your right to free speech under the First Amendment to the United States Constitution. For example, if you were arrested for disturbing the peace for participating in a political protest, wearing a t-shirt that threatens violence toward people who disagree with you on a political issue or loudly making a political or religious speech with a bullhorn in a public place. In these cases, you may be able to fight a disturbing the peace charge by arguing that your words and actions were protected by the First Amendment. You had a run-in with a police officer and simply because the officer did not like your behavior or attitude, the officer arrested you out of spite. Though disturbing the peace is its own crime with its own terms, a disturbing the peace charge can be negotiated to take the place of more serious criminal offenses with harsher penalties. Making criminal threats under California Penal Code Section 422. Under California Penal Code Section 242, it is illegal to willfully and unlawfully use force or violence upon another person. You do not need to injure the other person to be found guilty of battery. If you actually get into a physical fight with another person in a public place, you can be charged with disturbing the peace and battery. Under California Penal Code Section 242, battery is a misdemeanor punishable by up to six months in county jail and a $2,000 fine. If the other person suffered great bodily injury, you can be charged with a felony. A felony battery conviction is punishable by up to four years in state prison. Under California Penal Code Section 602, it is illegal to enter or remain on someone else’s property without permission to do so. In addition to disturbing the peace, you may face trespassing charges as well. Most people charged for disturbing the peace are arrested while on public property or while on private property that is open to the public. You may initially have had the right to be on the property, but if the owner of the property asks you to leave and you then commit a disturbing the peace offense under Penal Code Section 415, you can be charged with both trespassing and disturbing the peace. Depending on the circumstances of your case and past criminal history, trespassing can result in an infraction or be charged as a misdemeanor or felony. Under California Penal Code Section 602.8, a trespassing infraction is punishable by a fine of up to $75 for a first offense. A second infraction on the same land is punishable by up to $250. A third offense on the same land will be charged as a misdemeanor. Under California Penal Code Section 601, trespassing can be charged as a misdemeanor or felony. This is known as “aggravated trespassing.” Misdemeanor trespassing is punishable by up to one year in county jail and a fine of up to $2,000. Felony trespassing is punishable by 16 months, two years or three years in state prison. Under California Penal Code Section 148(a), it is illegal to resist, delay or otherwise obstruct a law enforcement officer or emergency medical technician (EMT) from performing his/her professional duties. Examples of resisting arrest include struggling with a police officer while the officer attempts to put handcuffs on you or taunting a police officer while the officer is attempting to arrest you or a friend. Under California Penal Code Section 148(a), resisting arrest is a misdemeanor punishable by up to one year in county jail and a fine of up to $1,000. If you or a loved one is facing a charge for disturbing the peace, it is critical that you speak to an experienced criminal defense attorney as soon as possible. 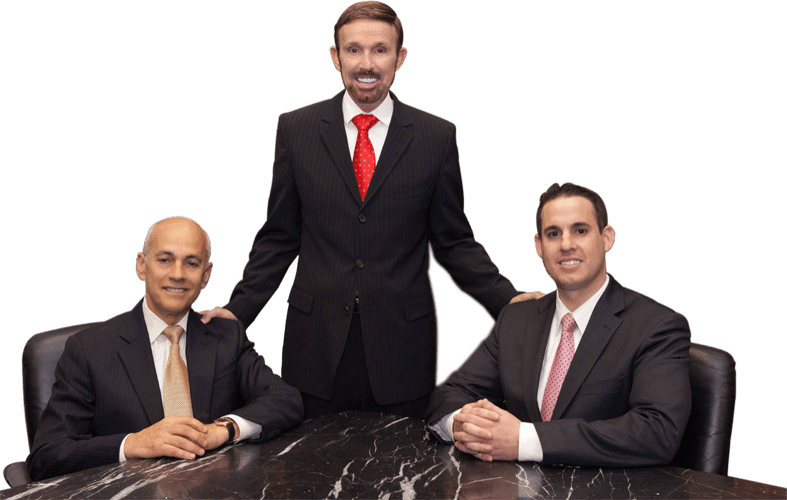 At Wallin & Klarich, our attorneys have over 30 years of experience in defending persons charged with disturbing the peace. Our attorneys will fight to get you the best possible outcome in your case.